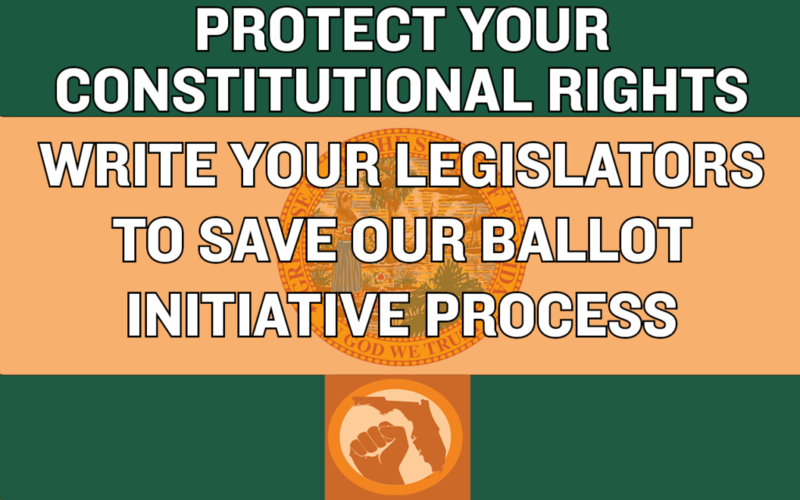 The Florida Legislature is up to their old tricks by trying to stop your voice in the Democratic process. Bills have been introduced by both the House and Senate that aim to eliminate our ability as citizens to pass a ballot initiative. Please sign the petition to let your Legislators know we will not allow this attack on our Constitutional Rights! After adding your signature please follow up with a phone call to your Senate and House Representatives to let their office know you oppose this legislation. Click here for the petition and more information!